Everything from games to maker kits, robots and crafts. This post was done in partnership with The Wirecutter, a buyer's guide to the best technology. When readers choose to buy The Wirecutter's independently chosen editorial picks, it may earn affiliate commissions that supports its work. Read the full article here. We don't think there's a right or wrong way for kids to play. For this kid-oriented gift guide, we focused on open-ended games, kits, toys, and crafts that promote lifelong skills like critical thinking, problem solving, logic, and even coding. To choose from the hundreds of toys available, we spent more than 30 hours trying 35 recommendations from experts, educators, and parents, including a reporting trip to the Katherine Delmar Burke School's tinkering and technology lab in San Francisco. And, of course, we spent some time playing with our picks at home with our own kids. The toys featured in this guide are often called "STEM" toys because they can help develop skills that would be useful in science, technology, engineering, and mathematics. But we prefer the term "learning toys," because, as the educators we spoke to told us, these toys and games promote aptitudes that are relevant in all types of learning. We're not saying these toys will make kids into future inventors, programmers, or poets. Mostly we like these toys—and think the kids in your life will like them too—because they are open-ended, adaptive, flexible, provocative, and, most important, fun. 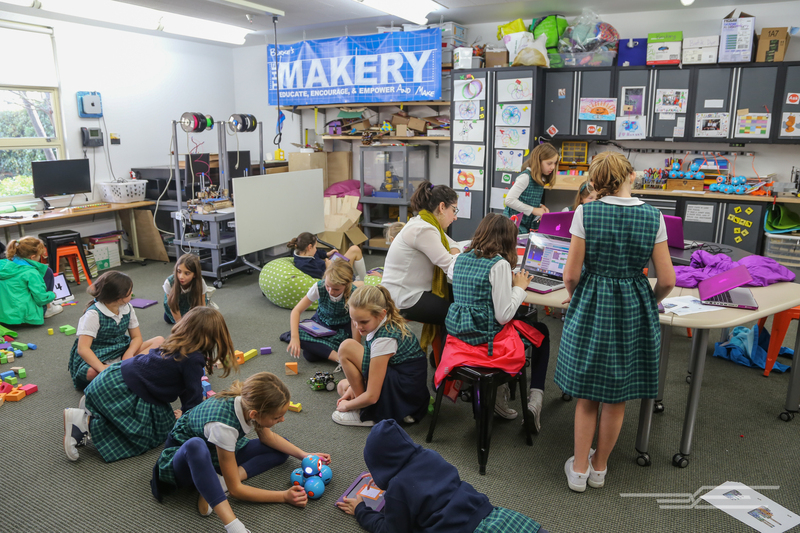 Students at Katherine Delmar Burke School in San Francisco build, code, craft, and play in the Makery, the school's tinkering lab. Photo courtesy of Katherine Delmar Burke School. To identify toys and games for this guide, we visited Katherine Delmar Burke School, an all-girls K–8 school in San Francisco. A few years ago, Burke's built a large learning lab, dubbed it "The Makery," and filled it with toys, games, computers, electronics, tools, building materials, and craft supplies. Students go to the lab to design, experiment, and create any number of projects, from robots and software to furniture and clothing. 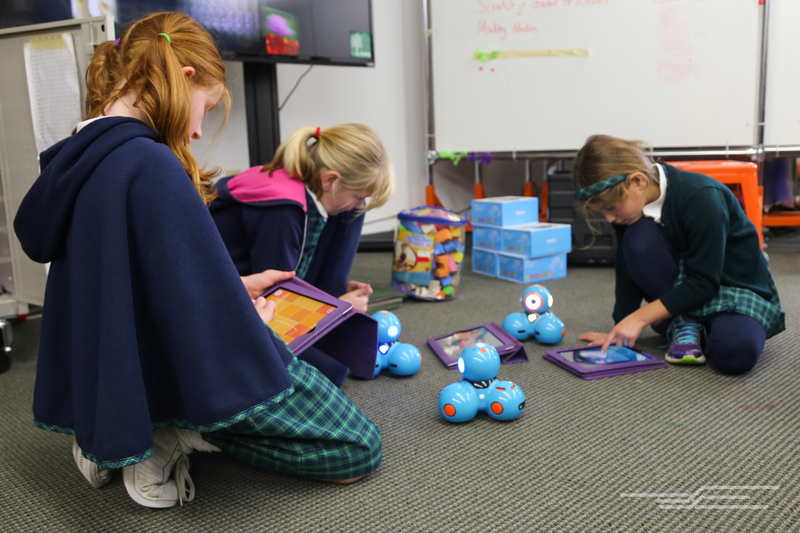 We spoke with Mike Matthews, the director of curriculum and program innovation at Burke's, and Jenny Howland, the K–4 technology teacher, to find out what they think makes a good learning toy for school and home. We tried out a number of games, toys, and kits in The Makery ourselves and learned which ones have been most successful—and fun—for the students. Open-ended: These types of toys can be played with, disassembled, reassembled, and interacted with in a variety of ways. Many of the games require the players to collaborate, which spurs kids toward creativity and exploration. Accessible: We focused on toys that won't require extensive adult help or supervision. The toys we recommend don't force kids to follow a specific set of instructions, but rather encourage play through experimentation. Replayable: Most of the toys and games on our list can be enjoyed by a wide range of ages, either because they offer different modes or difficulty levels, or because they allow increasingly complex interactions as the player builds skills. Fun: Harder to quantify but obviously the most important of the criteria is the "fun factor." All the toys we chose were vetted by kids—either enjoyed regularly in classrooms and The Makery, or enjoyed by our own staffers' kids, or both. We divided our recommendations into five categories: games, building toys, electronics/circuitry kits, robots, and crafts. A Burke's student plays Three Little Piggies. Photo courtesy of Katherine Delmar Burke School. Like chess, the ultimate learning game, these analog games are logic-based and multi-solution, and require planning moves in advance. The deceptively simple sets have few pieces and are easily packable for play in the car or at friends' houses, but each offers multiple modes of play and delightfully tough logic puzzles. Rush Hour, a single-player game that has brightly colored pieces that snap onto the game board, was recommended by the teachers at Burke's. Using different challenge configurations, the player has to move other cars so the red car can make its way out of a traffic jam. In our experience, different challenge modes can make it fun for kids in first and second grade as well as older elementary. 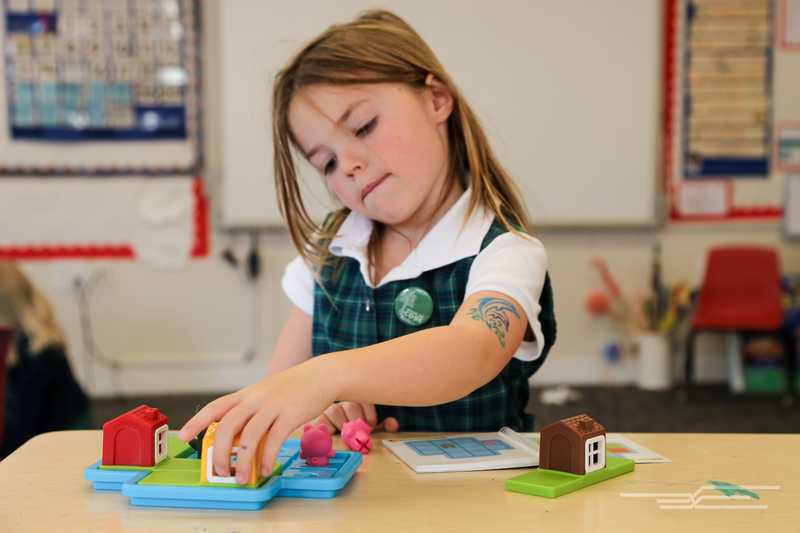 Three Little Piggies requires positioning the pigs' houses in different ways to keep them safe from the Big Bad Wolf, and is a hit with the kindergartners at Burke's but also offers more challenging play modes for older kids. Though technically a single-player game, multiple kids can work together to solve the puzzles. Check out our full guide for more game recommendations. According to ongoing research by early-childhood education specialists at Eastern Connecticut State University who rank toys according to how well they promote thinking, problem solving, social interaction, and creativity among young kids, one of the best-performing toys is a simple set of wooden blocks. These building toys are variations on basic wood blocks, incorporating magnets, flexible connectors, and gears to allow kids to build complex and creative structures. Magformers, a set of flat shapes with internal magnets, lets kids make free-form structures that go way beyond the typical block tower or castle. Members of our staff also love Magna-Tiles, which come in additional shapes and sizes. Zoob is a 250-piece set of connectable pieces that have ball joints that snap into U-shaped brackets, allowing kids to build shapes and structures with curves, bends, and joints. 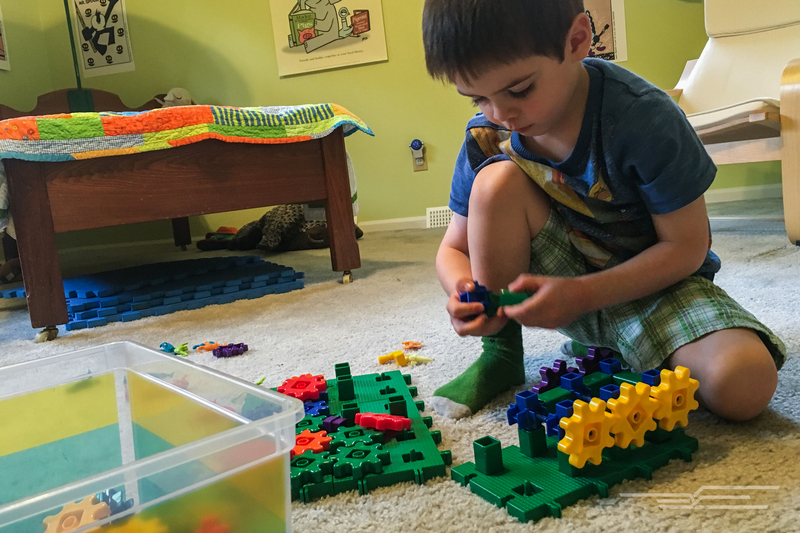 The basic Zoob set is great for kids 6 and up, though parents should be aware that it contains Lego-sized pieces and requires a similar level of dexterity. Gears! Gears! Gears! is exactly what you'd guess—a big box of colored gears that snap together with axles and extenders to create complex, moveable structures. The challenge is figuring out how to align and order the gears so they'll all turn in unison and not get jammed up. These toys help kids jump into experimenting with electronic circuitry and computing (with no soldering required). Each of these kits can be played with on its own to experiment with connections, signals, and inputs and to understand how electronic circuits and computing systems work. Recommended for ages 8 and up, LittleBits are ready-made, modular circuits that snap together with magnets. Kids can connect a battery-supplied power source to, say, on/off and dimmer inputs, followed by a servo motor, to see how they work together to power and modulate the speed of the motor. 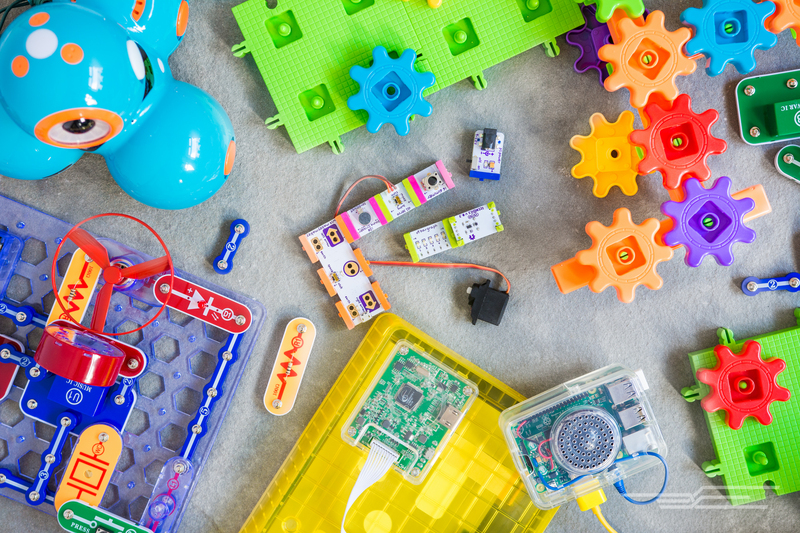 Additional add-ons to LittleBits offer a world of possibilities to spark a deeper interest in learning the fundamentals of circuit theory—check out more options in our full guide. SnapCircuits let kids explore the fundamentals of electronics and circuit design by using basic components (power sources, switches, resistors, capacitors, and wires of different sizes) that snap together on a large, flat surface. 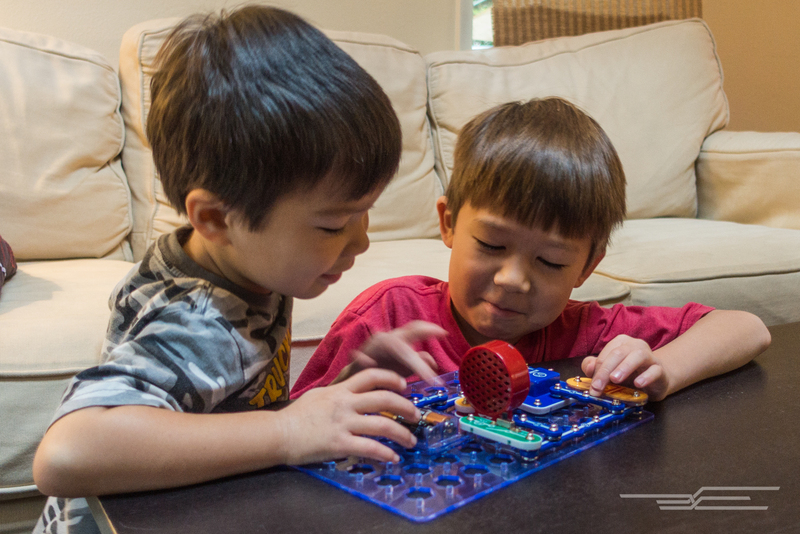 The beauty of SnapCircuits is that, unlike kits using ready-made motors and electronic components, kids are actually building and designing real circuits—much in the same way an engineer would prototype circuits, albeit in a simplified and accessible form. Some computer science and educational researchers have concluded (PDF) that robots have great potential for allowing kids as young as 4 to engage with technology, programming, and engineering and to develop abstract skills like storytelling, creativity, and visual memory. 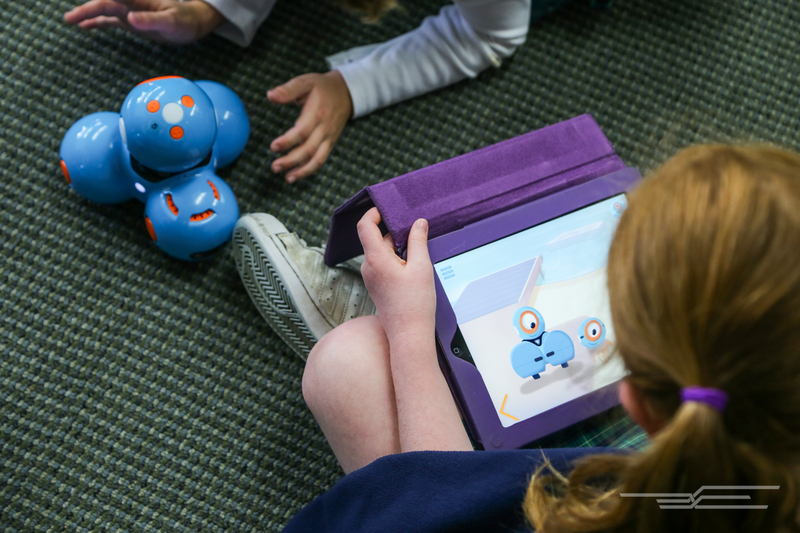 We think the robots recommended here are great for play at home, too: they're open-ended, adaptable, and responsive; help kids of all ages explore fundamental programming concepts; and are lovable to boot. The small, Cyclopean robot Dash is Bluetooth-enabled and rechargeable, and rolls agilely on three wheels in response to voice cues or app-based commands from an Android or iOS device. Five included apps let you manipulate, program, and design new behaviors for the robot, and play music with it. The bot lends itself well to group play, fostering brainstorming and ideation, especially among kids of multiple ages: A preschooler can come up with ideas for what Dash should do as an older child programs the commands into the app. Kids can manipulate and program Dash with five included apps. Photo courtesy of Katherine Delmar Burke School. At its price, Dash is not a cheap toy, but other educational robots we looked at (such as the Sphero and Kibo) are in the same price range or more expensive. For the investment, you get a versatile, responsive toy designed to continue to remain challenging and interesting as your child grows and develops new skills. Recommended by teachers at Burke's and Wirecutter executive editor Mike Berk, mBot lets kids build, customize, and program a robot, exploring mechanics, engineering, circuitry, and coding. Kids first assemble mBot using the base kit and then customize it with add-on packs that have extra sensors, motors and mechanical pieces, and lights and audio devices that can extend its functions and capabilities. Kids can also build programs for mBot, using Makeblock's app (either on an Android/iOS device, or a Mac/PC) with a drag-and-drop programming language inspired by Scratch 2.0. Many traditional crafts have a great deal to teach kids about engineering, math, and design. In Burke's Makery, students experiment with a range of crafts—knitting, sewing, felting, weaving—alongside mechanical and electrical engineering projects. For this guide, we focused on ready-to-go kits designed to introduce small hands to a range of handicrafts. Sweethome sewing machine guide writer Jackie Reeve says these simple, animal-shaped sewing projects that come in elephant, fox, and penguin patterns are among her favorites for her 4-year-old daughter. The felt pieces have precut holes along the seams and come with plastic needles and string that are suited for small hands and developing fine motor skills. Jackie Reeve also recommends Seedling craft kits, noting their gender-neutral design and great variety of make-your-own projects. Superhero capes, tote bags, and peg families are just a few other examples of the brand's offerings.